Grandparents are on my mind. National Grandparents Day is less than a month away—September 13—providing a perfect opportunity to connect your students with the strength, information, and guidance older folks can offer. Know what else is perfect? I have two books featuring grandparents for you to win plus chances to win cash, download free resources, and more! Wouldn’t it be nice if the posters and other learning materials you’re hanging on your classroom walls to start the school year stayed in place? Check out TeachersTape. It’s a removable foam tape that comes off cleanly but really sticks to the surfaces found in many classrooms—laminates, painted concrete blocks, wood, and whiteboards. You can get it in a roll to hang your posters and banners; then get the pads for artwork and projects. Click here to see more. Here’s a chance to help kids in your community and to be the lucky teacher to win $1,000 cash for your classroom from Champions for Kids. There’s more: five teachers will each win $500, five will each win $100, and $25 will go to 25 teachers. Enter here! Then teach your students about giving back with the simple-to-do service project, Fill the Cart for Kids. By participating, your school could win grant money—from $10,000 to $25,000! Download a free project starter guide to learn more. I have another chance for you to win cash for your classroom. 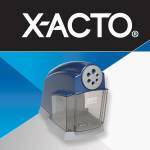 One lucky teacher will win $500 in classroom cash and an X-ACTO prize pack, and three runners-up will each win $250 and an X-ACTO prize pack. Then get your students’ writing on point right away with the free ideas and organizers for grades K–2 and 3–5 plus at-home practice for grades K–5. Find it all here. Deadline alert! Have you entered the 2015 Classroom of Your Dreams shopping spree giveaway yet? You have a chance to win the grand-prize of a $300 Carson-Dellosa shopping spree plus a $100 bonus Visa gift card. Three runners-up will each win $300 shopping sprees plus gift cards of lesser amounts. The August 31, 2015, deadline is creeping up, so enter here now. PS: I found a free planning and activity guide to help you recognize National Grandparents Day in your classroom. Click here. I would love to win the books! I’m a new teacher and am trying to build my library! I would love to win the classroom redo from Carson. And I would LOVE to win the books. Llama is a favorite of mine. Nice. That tape sounds like an excellent product. Also, some of the more ‘specialized’ days to celebrate are hard to find books for. Your recommendations are a welcome gift. Thank you! I love the teacher tape. Works perfectly on many surfaces in my classroom. Would love to have the grandparents’books so when grandparents visit they can read them to students. I really want to win the Carson Dellosa package. That would be so cool! Winning the books would be great. My school is trying to build up the library, and this would really help! Llama Llama are a great series! My favorite is Champions for Kids. I think that getting my school involved would help the negative attitudes that we have been seeing the last year or so. Community service is very fulfilling. We hold a Grandparent’s Tea every year at our day care. The children put on a special show and make cards and gifts for their grandparents. it would be graet to win the books. We’re happy to mention the book, Fran. It’s a good one! My favorite is the Llama Llama book, I enjoy reading them to my students. 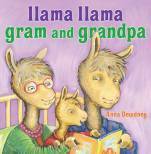 I rum the school book fair and we always sell out of our Llama Llama books glad to see a new one added to the series. Grandparents day will be September 11th at my school. I’m looking for good books to read and activities to make the event special and memorable for my students and their grandparents. Would love to win these books and add them to my classroom library.